. 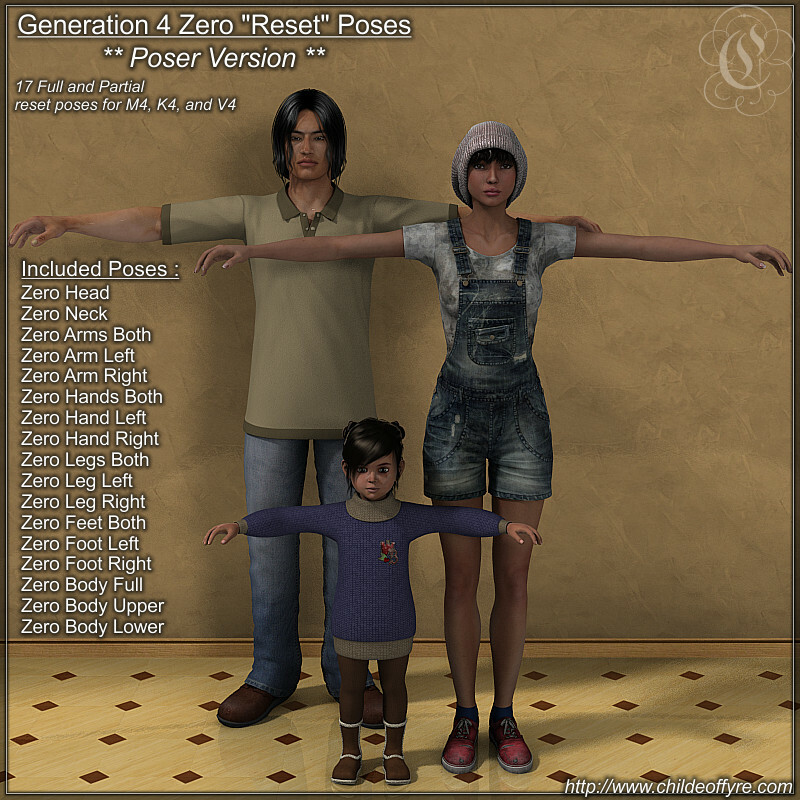 :: Zero Poses for M4, K4, and V4 (Poser Version) ::. This is just a collection of 14 utility zero poses for Michael 4, the Kids 4, and Victoria 4. All files are in Daz Studio .duf format. If you are a DS4 user, then please download the Daz Studio version.